Can I use TIP120 to control a DC motor (just ON/OFF)? 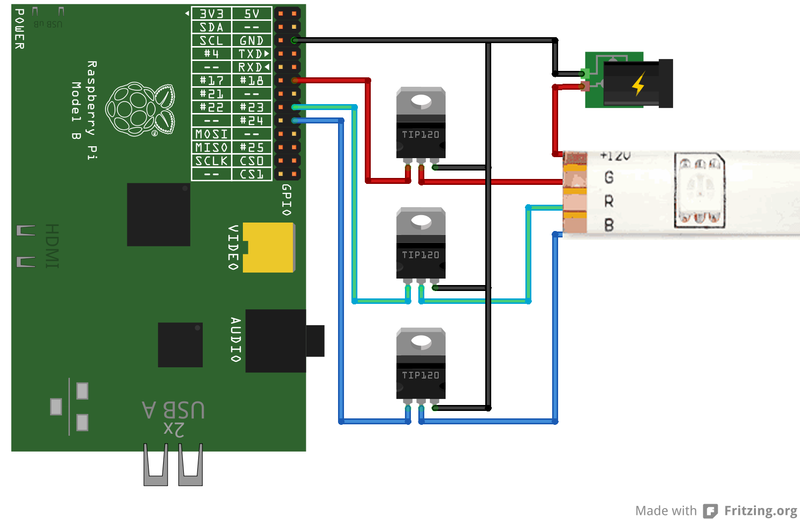 What about an optocoupler betwin Rpi and TIP120? What rgb strip have you bought? Did you not use any resistors anywhere? You were OK just connecting the GPIO direct to the base of the TIP120? Finally, do they run hot? Do you not need heatsinks on them? Can you create every colour with this interesting project or is only power on / power of of each coulour possible? I mean,: is dimming possible? Personally, I would NEVER hookup like this. If for any reason, one of the transistors get a collector-base short, 12V will be fed back to GPIO and toast the Pi. Opto-couplers is required for safe operation and heat sinks for transistors.